The Cohen Religious School (CRS) changed its format two years ago. Was it a success? YES! Over the last few years, it became apparent that, as parents who enrolled children in our religious school, you were feeling increased pressure by the after-school schedules of your children. We recognized that carving out two weekdays, in addition to Sunday, made your decision to send your children to our CRS a challenge. We wanted to be responsive to your needs as parents and continue to deliver the highest quality religious school education. Last year’s change was a success, and we look forward to another great school year for 2016-2017! How did you decide what to change? Our core commitment in this process was to maintain the highest quality of our education for our students. We identified a strategic leadership team, the Quartet, to drive the process: Rabbi Vernon Kurtz; Rabbi Michael Schwab; Alicia Gejman, Director of Formal Education; Ali Drumm, Director of Informal Education. We hired Education Consultant Jane Shapiro and worked with the NSS Beth El Vice Presidents of Education, Tracey Hendler and Pam Schlosberg. We explored educational options currently used nationwide, held in-depth discussions with educators across the country, researched published articles, and conducted focus groups with our Beth El pre-school and religious school families. What are the basic changes that CRS implemented during the change? Family Shabbat services reflective of parents’ needs and our modern family lifestyles: Gimmel (3rd); Dalet (4th); Shabbatoffering for Ganon-Bet. Please note: Students are required to attend Sunday classes even after they attend Shabbat Services. Thursday classes for students who want more enrichment and students who need more support. Continue Shabbat weekend retreat, youth conventions, andCafé Kef on Tuesdays and Wednesdays. Is there still a Core Curriculum? Our Core Curriculum remains unchanged: Hebrew Language,tefillah (prayer), Torah, Jewish holidays, customs and history. There were three recurring themes from our research. You requested: flexibility to accommodate the demands of today’s modern family; more connectedness with other parents, children with each other, and for all with our Beth El Community; and enrichment activities to enhance the curriculum. So, along with our core curriculum, we increased the integration of formal and informal educational, cultural, and social activities through Shabbat activities and Chugim. Who else uses this new model for its Religious School? Our research revealed Religious Schools across the country were grappling with the same issues as we were at Beth El. However, no one solution can meet all the educational needs of all religious schools. Beth El is a unique community with singular educational requests for flexibility, connectedness, and enrichment. What we implemented last fall represented the best practices of our research, and the best strategic recommendations of our leadership team. Overall, is CRS a reduced program? The overall educational hours from Pre-K through Gesher (7th) actually increased with last year’s changes! The former model provided 1008 hours from K thru Gesher (7th); our current model offers 1068 hours from K thru Gesher (7th). This new educational approach provides more hours in the younger classes when there are fewer social demands, attendance is more compliant, and minds are eager to learn. 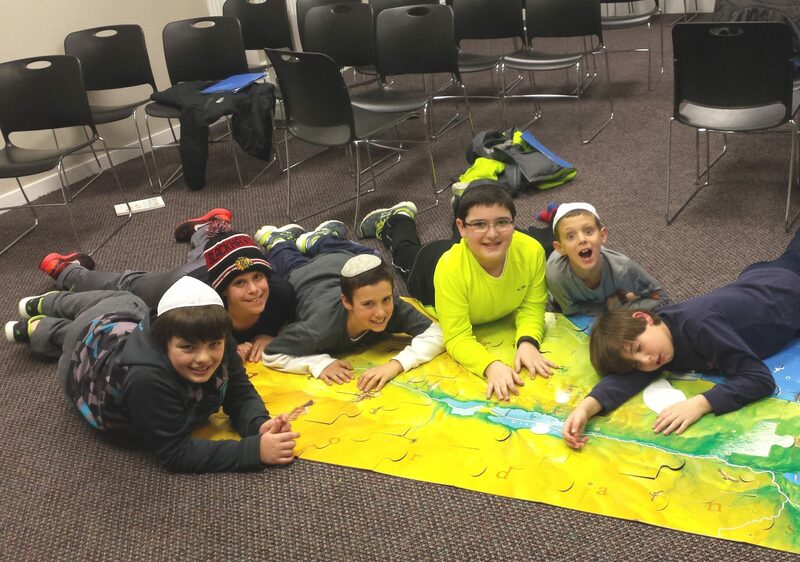 In addition, we now include Shabbat activities and Enrichment classes. My child has a different learning style; how are you providing for this? As we have over the past several years, we continue to make accommodations through our Tutoring/Enrichment (Halomdim) program for children with all kinds of learning styles and challenges. Our Thursday supplemental day gives us the additional flexibility to support those students. Why do Gesher students spend the last hour of their Sundays in SHHS? This last hour is focused on easing your child’s transition to SHHS. This is an opportunity to become comfortable with the SHHS environment, meet teachers, and participate in some dynamic high school classes. What are the overall benefits of this new model? By implementing this educational model, we meet all of our initial goals: We maintain the strength of our core curriculum while providing many opportunities for enrichment and connectedness – all while increasing flexibility for our families. It is truly a dynamic approach for our Cohen Religious School, and we look forward to your participation in the school year 2016-2017. If you have additional questions, please contact Alicia Gejman at 847.432.8900, Ext 227 or email her at agejman@nssbethel.org.